On Monday, the nation will take a collective moment to honor those who have served in the armed forces. But just like any other day, more than 38,000 veterans will spend the night sleeping on the streets or in shelter. While one homeless veteran is one too many, we have made significant progress in helping veterans find and maintain housing. 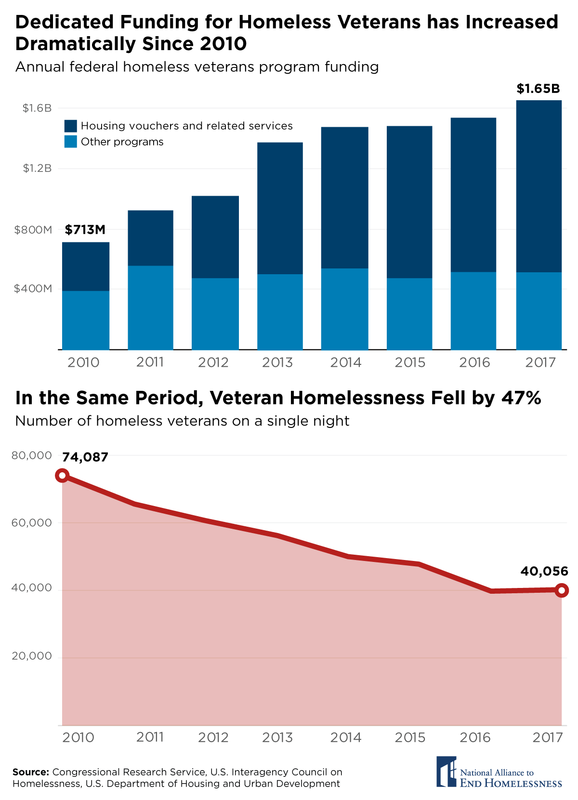 Since 2010, the United States has cut veteran homelessness almost in half, providing a model for ending homelessness for all groups nationwide. Three components were critical to this decline: increased investment, coordination and commitment, and a focus on the most vulnerable. Read more in Increased Investments in Ending Veteran Homelessness Are Paying Off. Despite progress in ending veteran homelessness overall, significant racial disparities persist among homeless veterans. People of color represent 43.2 percent of veterans experiencing homelessness, compared with 18.4 percent of the general veteran population. 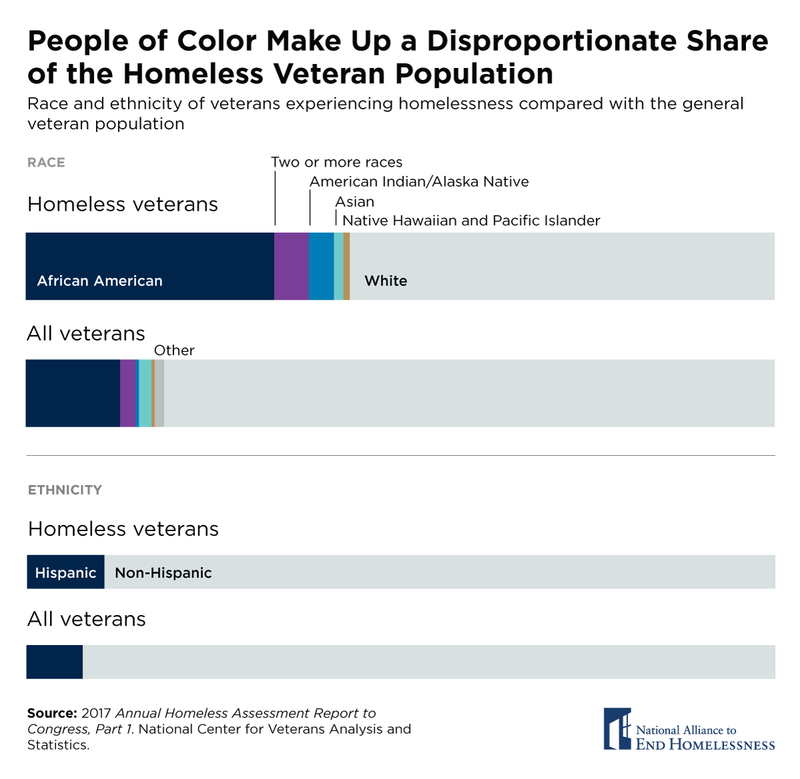 Read more in People of Color Make Up A Disproportionate Share of the Homeless Veteran Population. National progress on reducing veteran homelessness proves that with resources, coordination, and commitment, success is possible. However, ending veteran homelessness will require a commitment to addressing the structural inequalities that lead to homelessness among veterans of color, and to delivering equitable results within the homeless services sector.